Carry all your Fourth of July necessities in this cool patriotic bag. 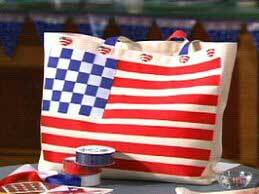 Show you are proud to be an American by making a tote bag with this tote bag pattern. Watch the HGTV video, then get crafting!